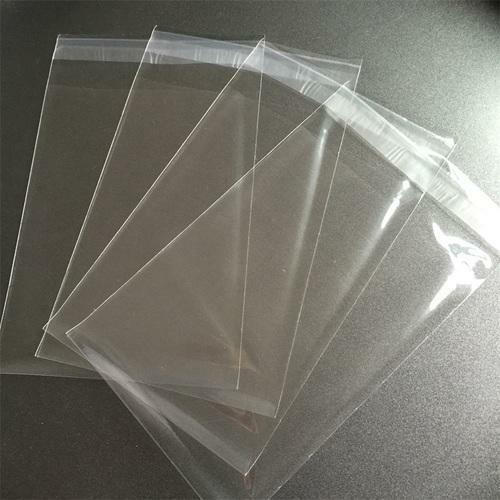 Being a leader in the industry, we are engaged in offering a qualitative range of Transparent Self Adhesive Plastic Bag to our customers. Established in the year 1993 at Ahmedabad (Gujarat, India), we “Shilpa Polypack” are engaged in wholesale trading an excellent quality range of Adhesive Tapes, Air Bubble Roll, Disposable Paper Cup and Plastic Bags, etc. We are a Sole Proprietorship firm and we source products from the reliable market vendors which can be availed from us at reasonable prices. Under the guidance of “Mr. Mukesh Patel” (Proprietor), who holds profound knowledge and experience in this domain, we have been able to aptly satisfy our clients. We are 25 year old firm pioneered in manufacturing of a wide range of plastic bags and packaging products. We also provide all kinds of disposable items. All of these products are available in all sizes and styles. Customized size requirements and OEM (Custom logo) are also welcome. Shilpa Polypack emphasizes on customer’s quality requirements and international standard compliance requirements. We thrive on customer satisfaction. If you are a reseller or direct customer, do reach out to us with your requirements via mobile or email. We are looking forward to do business with you. We thrive on customer's satisfaction. As 25 years experienced firm, we provide best service for all our products. We have established great reputation among customers as well as manufacturers with our trade service and policies. Shilpa Polypack is still young to try to improve at every step to deliver best customer experience.